news The nation’s largest telco Telstra has revealed it will invest a significant amount of capital upgrading the HFC cable network it has contracted to sell to the NBN company, in a move which raises questions about the long-term future of the network. 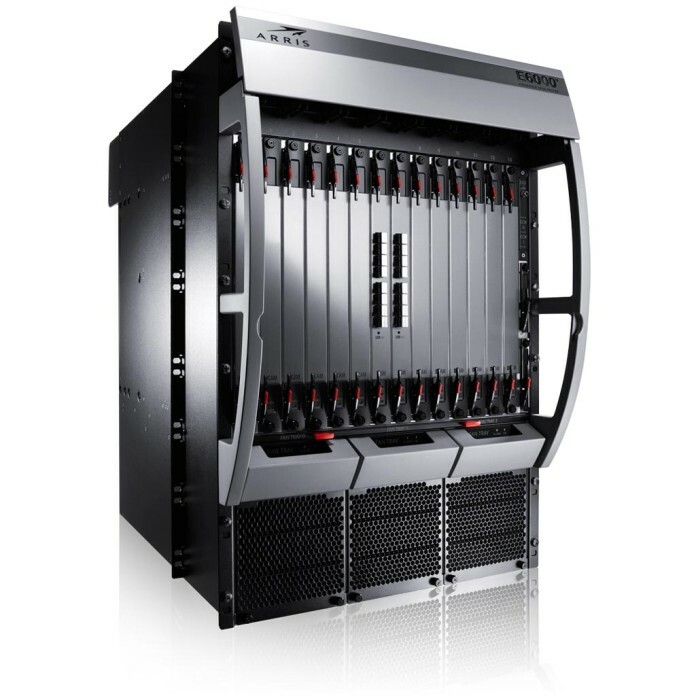 Last week US equipment supplier ARRIS published a statement in the United States noting that it had signed a new contract with Telstra to deploy the company’s E6000 Converged Edge Router. It is believed that the router would sit within Telstra’s telephone exchanges and allow the company’s HFC cable network to deliver higher broadband speeds to reach the DOCSIS 3.0 standard. However, it is not immediately clear why Telstra is upgrading its network. Telstra’s HFC cable network already supports 100Mbps speeds, and the company upgraded to the DOCSIS 3.0 standard in the years from 2011, following a trial in Melbourne in 2009. In addition, Telstra’s HFC cable network is progressively being sold to the NBN company, which is planning to integrate the network into the National Broadband Network infrastructure. As part of that integration, the NBN company has already signed a $400 million deal with ARRIS to deploy new cable modem termination systems and retransmission equipment in hundreds of Telstra telephone exchanges over the next three years. Under the deal, ARRIS is assisting the NBN company with providing a future roadmap for the DOCSIS 3.1 standard, which will allow even higher speeds. In this context, it is not clear why Telstra is still upgrading infrastructure which will shortly be sold to the NBN company. I have a couple of theories about what is going on here. Firstly, it’s possible that Telstra’s deal with the NBN company requires its HFC cable network to be of a certain standard before it is handed over. Although Telstra already upgraded the network to the DOCSIS 3.0 standard (this is how it already achieves 100Mbps), perhaps Telstra did not upgrade the whole network to the standard, or perhaps Telstra’s implementation was a bit bare bones for the NBN company’s taste. It’s even possible that the NBN company itself is footing this bill for the new ARRIS edge routers to go into Telstra’s HFC cable network. Getting Telstra to do that upgrade might make things easier for the NBN company down the track. Secondly, it is also possible that Telstra itself suspects that we may yet see further changes in NBN policy from the Federal Government, perhaps in the context of a change of Government after a Labor election victory. This seems unlikely with Prime Minister Malcolm Turnbull at the helm, but we are seeing companies like TPG continue to deploy their own infrastructure in competition with the NBN. Perhaps Telstra is hedging its bets, upgrading its HFC cable network to cater for the eventuality that it may need to compete with the NBN at some point using the infrastructure, as TPG is starting to do. Either way, this was a weird statement from ARRIS to see out there. Telstra’s upgrading its HFC cable network, but with no mention of the NBN? Quite strange. I’d welcome any clarity from anyone who can explain this situation. More proof MtM is a royal Charlie Foxtrot! If NBN was still deploying FTTP on a large scale I doubt Telstra would bother. Didn’t they mention on the original announcement of the HFC deal, that Optus and Telstra would be paid for the investments they make upgrading the network before handing it over? Meanwhile Optus are pretending to address their ongoing HFC congestion issues while continuing to sign up as many customers as possible. Telstra ex CE0 also suggested they may decide to offer their customers higher speeds before transferring these customers to NBNco HFC network. My guess is “customer retention”. With a proper speed, customers will stay on Telstra’s pricy plans or even renew when promised nbn as carrier under their existing retail billing relationship with Telstra. This or the price of HFC sale is not determined yet between T and N.
Either way, this is not bad as will allow more customers to be happier sooner. My Guess- the HFC sale contract had certain baseline requirements around equipment-age, support lifetime, or performance that needed some rectification on Telstra’s side to meet. A bit like putting a lick of paint on your 60’s Fibro shack in Sydney to try to get an overseas investor to fork out another $200k based on the photos. Telstra don’t do anything that costs money without some Machiavellian scheme to recoup it.